Café 002 is a small restaurant/café in Bratislava. They wanted a confrontation with other shops on the same street, plus all information on the frontpage. Using boxes the visitor knows the location, menus and specials right away. 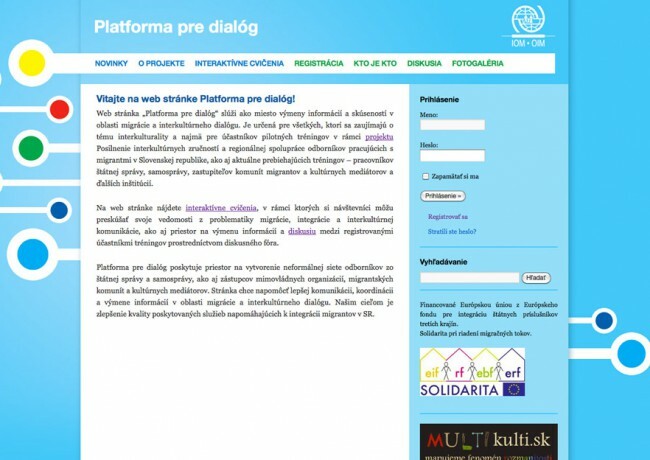 For the International Organization for Migration in Slovakia, I have developed the website Platform for a Dialog. The site is using WordPress, custom made theme and some modified plugins.